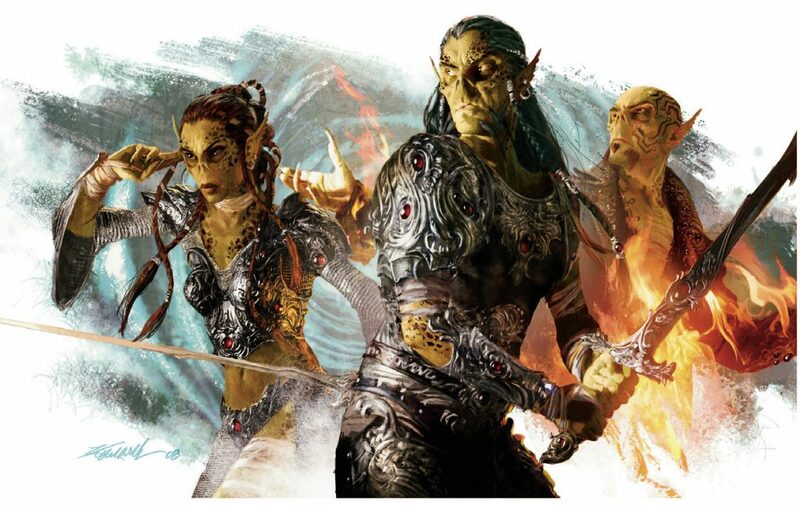 Here’s a round up some information sources on githyanki and githzerai in response to their appearance in the new Mordenkainen’s Tome of Foes. First off, they were created by British SciFi author Charles Stross (author of the Laundry Files series as well as Merchant Princes series and many other novels) back when he was a teenager. The githyanki appeared first in White Dwarf #12 back in 1979, and were later compiled with other monsters including Stross’s githzerai and slaadi in the original Fiend Folio. 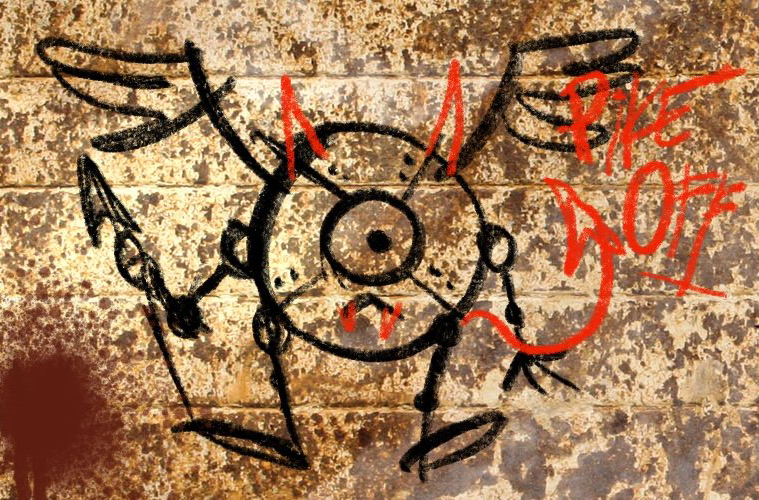 Back when I ran the Planewalker.com Official Planescape Fan Site we managed to get an email interview with Charles Stross about his creations that we posted in our Rrakkma: Legacy of Zerthimon subsite (archived version). The interview is no longer on Planewalker.com, but I reproduced it here. 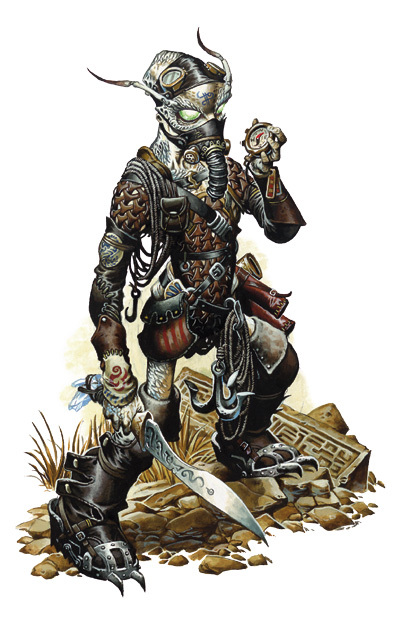 Githyanki are Awesome and Githzer-who?? 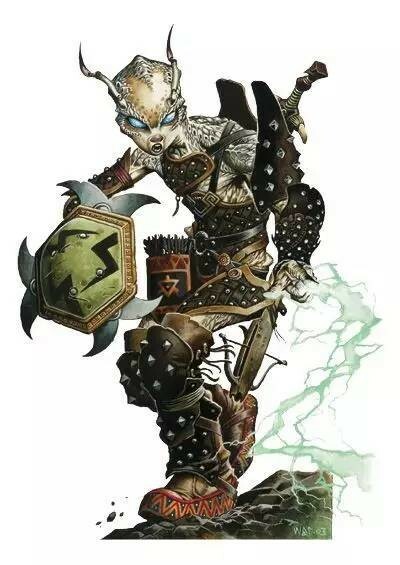 Of the two races, the githyanki have definitely commanded the most interest throughout the years. 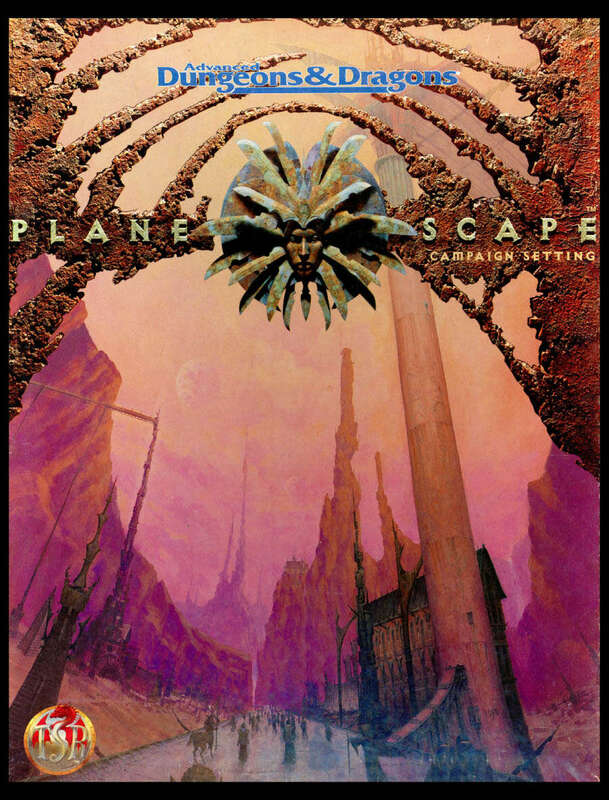 Through first edition, they had a couple appearances, but really took off with Planescape. 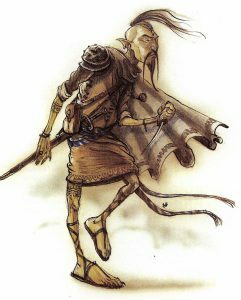 First githzerai were presented as a PC race in the original boxed set, and githzerai NPCs were very common through all of the Planescape products. However, again, it was the githyanki that had more attention with a large chunk of the Guide to the Astral (about 24 of the 96 pages) devoted to examining githyanki history, culture, and even the githyanki PCs. In Planes of Chaos, the poor githzerai got little more than a page or two of information that was largely already present in the Planewalker’s Handbook. The only significant source of githzerai lore and beliefs, is actually the video game Planescape: Torment. In that the githzerai companion Dak’kon studies and reads passages from the Unbroken Circle of Zerthimon. This is the only rich source of githzerai lore beyond the basics out there, unfortunately. This is the act of posting a mad and beautiful idea on the internet, bonus points for posting it in such a way so that others can participate and/or post their own mad and beautiful ideas. For me, this usually has something to do with Githyanki. I have no idea quite why. 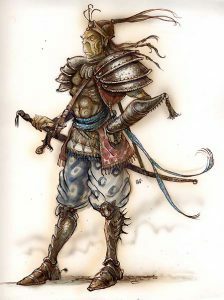 Maybe it is because they wield silver swords or worship their liche queen or have a pact with red dragons whom they often ride into battle. The Githyanki were first introduced in the Fiend Folio for AD&D, wielding silver swords, riding red dragons and serving a dread liche queen. Their capitol city floats on the body of a dead deity in the Astral Sea. To me, Githyanki represent the act of making things up for the fun of it. I can personally attest to the joy of githyanki therapy with whatever inspires, not necessarily githyanki. Personally, for me it’s dromites every since Wayne Reynolds’s incredible art for them, as well as sci-fi/magic mash ups. But whatever your githyanki is, find it and when you are feeling frustrated, create something crazy and fun just for the joy of it! In third edition, with the Expanded Psionics Handbook, both githzerai and githyanki were given full psionic PC race options. The githyanki, however, got more attention including a cross-magazine focus in Dragon 309, Dungeon 100, and Polyhedron 159 back when Paizo published those magazines for WotC and Pathfinder RPG was still 5 years away. This cross-over event was called Incursion, and focused on how to have a githyanki invasion of your campaign setting world. Dragon 309 outlined a full campaign of the githyanki invasion including adventure hooks for low, mid, and high level PCs, as well as the stages and plans of the invasion and impact on the world. Whether you use the githyanki or not, it is still an excellent overview of how the invasion of an alien-like race in a traditional fantasy setting can play out that is useful for any edition of the game. Dungeon 100 presented a very high level adventure called “Lich Queen’s Beloved” to cap off an Incursion campaign (but useable without it, too), where the PCs take the fight to the githyanki and infiltrate their capital city of Tu’Narath in hopes of killing the lich-queen Vlaakith. On the flipside of the Dungeon magazine (since these were actually physically printed magazines, kids, they would actually print an entirely different magazine upside on the back, so that you could flip it over to read that one), was Polyhedron. It was the official magazine of the RPGA (the Role Playing Game Association) and the original organized play group for (A)D&D prior to Adventurer’s League. At the time, however, Paizo mostly focused much of Polyhedron on a “mini-game” – basically a standalone variant of D&D or unusual campaign idea. In this instance, they tied into the Incursion event by presenting a campaign model for playing the githyanki invading a world, so that you could experience the Incursion from the other side! If nothing else, it had some amazing githyanki artwork by James Ryman that would make some interesting inspiration for PCs. Lastly, Paizo published a 35-page Tu’Narath City Guide that goes into greater detail on several locations in the githyanki capital city that floats in the Astral Plane on the corpse of a dead god. (There’s an inn, a typical street location, barracks, etc.) It is a great resource that would be quite useful in any 5e game involving Tu’Narath. Lastly, there’s also a short PDF web enhancement that includes some details on a githyanki flying fortress. In this case the Scales of War adventure path in Dungeon 156-175 (at this point PDF only and published by Wizards of the Coast, not Paizo) heavily featured githyanki as major villains focusing on another massive invasion. Of course, this time the invasion is fully detailed in a series of adventures rather than in an article that serves as a source of ideas for DMs. With githyanki and githzerai getting a chapter in Mordenkainen’s, it’s a nice sign of planar content playing a growing part of 5e. If you want more information to explore a gith PC’s background, at the various links above is a wealth of information on githyanki history and culture, as well as a few lines about githzerai beliefs taken from video game dialogue. 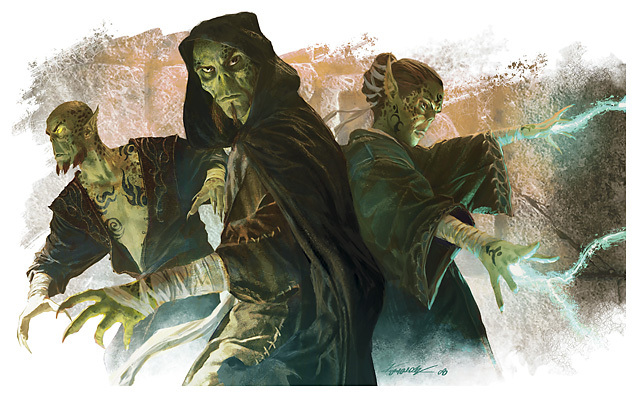 Maybe from either official sources or unofficial ones on the DMs Guild, the githzerai can finally get their due.